11,30 – 13,00 Session 2: Could a stable coordination be beneficial? The results of this Session will be used to elaborate a Research Position Paper, to be taken forward under the auspices of the newly established coordination structure. In this session, the agreement of delegates will be sought on formalising the proposed, new co-ordination structure for cultural heritage research stakeholders. 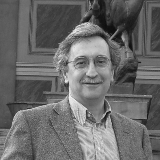 Piero Baglioni - chair of Physical Chemistry at the Department of Chemistry of Florence University since 1994. He was appointed as Visiting Scientist/Professor by the Department of Chemistry at Houston University, the Weizmann Institute, the Collège de France, and the M.I.T. 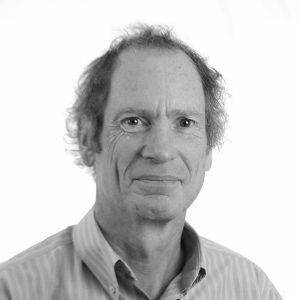 He is the Director of the National Center for Nanosciences (CSGI) and he is in the Editorial/Advisory Board of several intentional Journals and member of several national and international Institutions and Societies. He is the author of more than 500 publications on books and largely diffused international journals and also the author of 25 patents. He received several international recognitions: the Rhodia Prize from the European Colloids and Interface Society (ECIS), 2002, the European Grand Prix for Innovation Awards; the 2011 Journal of Colloid and Interface Science award for Lifetime Achievement; “The Caballero Aguila” (highest award from the INHA, Mexican Federal agency for the conservation of Mexico CH), 2010; the "Catedra de Fisica, University of San Luis Potosi, Mexico, 2012; Chen Distinguished Lectureship on Neutron Science and Technology, Taiwan Ministry of Science and Technology and National Tsing Hua University, 2016; The Overbeek medal, 2016; The Japan Chemical Society Award, 2017, etc. restoration and conservation of the pictorial surface of frescoes; removal the organic contaminants/polymers; consolidation of the wall paint structure; salt-induced degradation; innovative processes for paper de-acidification; innovative processes for wood de-acidification; new cleaning systems based on micellar systems, microemulsions, chemical and physical gels for the confinement of micellar systems and microemulsions for controlled cleaning and removal of unwanted materials from pictorial surfaces. Alexandra Bitusikova - Associate professor in ethnology/ social anthropology and Vice-Rector for Research at Matej Bel University in Banska Bystrica, Slovakia. In 2001-2008 she worked in the European Commission, DG Research, and in the European University Association in Brussels where she was responsible for the area of doctoral education in Europe. She was research fellow at Cambridge University, University College London and Boston University (Fulbright). Her research interests include urban studies, cultural heritage, post-socialist transformation in Central Europe, social movements, diversity, identity and gender. 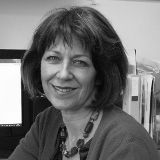 She published a number of scientific papers and books and has been participating in many research projects (mainly FP5, FP6, FP7, H2020). Since 2012 she has been a national delegate for social sciences and humanities in FP7 and now in H2020. 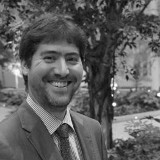 José María Martín Civantos - Associate Professor at Universidad de Granada. Department of Medieval History and Historiographic Techniques. Expertise areas: Islamic Archaeology, Landscape and Hydraulic Archaeology. Researcher in 27 projects and 19 research contracts in Spain, Italy, Morocco and Albania. Principal Investigator in 11 projects and 14 research contracts. Awarded by the European Commission with a FP-7 research grant to coordinate MEMOLA project: An historical Approach to Cultural Heritage based on Traditional Agrosystems (http://memolaproject.eu/). Neil Forbes - Professor of International History at Coventry University, UK. His research interests and publications lie in the fields of Cultural Heritage (conflict, contested landscapes and the memorialisation of war), the interaction of foreign policy formulation with the practices of multinational enterprise during the interwar years, the processes of financial stabilisation after the First World War, and Anglo-American relations and the rise of the Third Reich. He has played a leading role in several research projects, including a £1m digitisation and creative archiving project in association with the UK’s BT and The National Archives, and has recently acted as Co-ordinator of the EU’s FP7 RICHES project - Renewal, Innovation and Change: Heritage and European Society. He is a member of several professional associations and other bodies. Antonella Fresa - ICT expert, Director of Design and General Manager at Promoter SRL, she has been working on European cooperation projects since the nineties. Since 2002, she is Technical Coordinator and Communication Manager of national and European projects in the domains of digital cultural heritage, creativity and co-creation, citizen science, smart cities, digital preservation and eInfrastructures. From 2002 to 2012, she has been advisor of the Italian Ministry of Cultural Heritage and Activities, technical coordinator of the Ministry’s EC funded projects on digitisation, and from its establishment until 2012 Member of the Concertation Table between the Ministry of Culture (MiBAC) and the Ministry of Research (MIUR). From 1999 to 2002, she was Project Officer by the European Commission in Brussels. 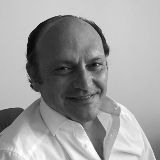 Previously, adviser of innovation agencies, Italian and European enterprises, universities and research centres. From 1980 until 1989 researcher at Olivetti in Pisa, Ivrea and Cupertino (CA, USA). She has been reviewer in the Call for the Portuguese National Roadmap of Research Infrastructures of Strategic Relevance (FCT, Portugal) and for the Austrian Agency for International Cooperation in Education and Research (OeAD-GmbH). She regularly serves as independent expert and evaluator for the European Commission. She is Vice-President of the PHOTOCONSORTIUM International Association for valuing photographic heritage and she is enterprise fellow at Coventry University. Founding member of IDEA - International Digital Epigraphy Association. Harald Hartung is Head of Unit responsible for the Inclusive societies unit in Directorate General for Research and Innovation of the European Commission. New technologies in the audio-visual sector. Mai – September 1999. Before joining the European Commission he was Counselor for Industrial Affairs at the Permanent Representation of Austria to the EU and Head of Delegation of the Federation of Austrian Industry (VÖI) at the permanent Representation between 1996-99. Dorota Nigge -works at the European Commission in the Unit in charge of cultural policy of the Directorate General of Education and Culture. She is Team Leader for the European Year of Cultural Heritage 2018, working on the implementation of the European Framework for Action on Cultural Heritage. Until 2017 she was responsible for policy development for the cultural and creative sectors (CCS), in charge of initiatives relating to cultural entrepreneurship, innovation and access to finance for the CCS. Before joining the EU institutions in 2005, she worked as a policy analyst at the University of Cologne, the Trans European Policy Studies Associations (TEPSA) and the Institute of Public Affairs in Warsaw. She has also experience of working with EU affairs at the Polish Ministry of Culture. 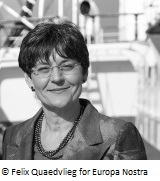 Sneška Quaedvlieg-Mihailović - Secretary General, Europa Nostra; she has been working for Europa Nostra for more than 25 years. In 2000, she was appointed as Secretary General.In this capacity, she works closely with EU institutions, the Council of Europe, the UN, UNESCO and other international and European governmental and non– governmental bodies on heritage matters. 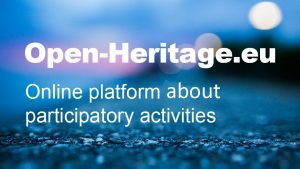 Since the creation of the European Heritage Alliance 3.3. in 2011, she acts as the Coordinator of this informal platform of European and international networks active in the wider field of heritage. She has played a prominent role in promoting and implementing the European Year of Cultural Heritage (EYCH) and actively contributed to the EYCH Stakeholders Group. She is a regular speaker at European conferences and meetings on cultural heritage and is author of numerous articles on Europe and cultural heritage (most recently she contributed to the special edition of “Cartaditalia” dedicated to 2018 European Year of Cultural Heritage” (2017)). She has also contributed to the preparation of the European Report “Cultural Heritage Counts for Europe” (2015). Sneška Quaedvlieg–Mihailović obtained a degree in International Law in Belgrade (former Yugoslavia) and in European Law and Politics in Nancy (France). Prior to joining Europa Nostra, she worked for EU Institutions in Brussels and then for the European Commission Delegation in Belgrade. In 1991, she was one of the founders and the first Secretary–General of the European Movement in Yugoslavia. 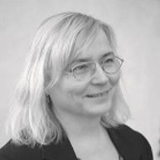 Monika Hagedorn-Saupe - studied mathematics, sociology, psychology, and education at the Ruhr-Universität Bochum, at Kings College London, and at the Freie Universität Berlin. Since 1985, she has been a staff member of the Institut für Museumsforschung (Staatliche Museen zu Berlin, Stiftung Preußischer Kulturbesitz), overseeing the annual statistics of all German museums. 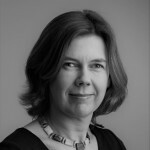 Since 1994, she has been Head of the department "Visitor-related museum research and museum statistics", is responsible for several European projects and is the Deputy Director of the Institute. 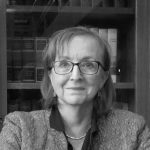 Since 1997 she is chairing the Special Interest Group on Documentation (Fachgruppe Dokumentation) in the German Museum Association (Deutscher Museumsbund e.V.). She is the current president of CIDOC, the documentation committee in ICOM, the International Council on Museums. Since 2013 she is on the board of ICOM-Europe. In 2001, she was nominated from the German Federal government to participate in the European NRG (National Representatives Group on Digitisation in Culture) and is now a member of the MSEG. She is the convenor of the ISO/TC46/SC8/WG11 on “International Museum Statistics”. She is Professor in museology at the University of Applied Sciences HTW in Berlin/Germany and teaches visitor research and project management. Luďa Klusáková - Professor of History (2009), chair of the Seminar of General and Comparative History at the Faculty of Arts at Charles University. Specialized in comparative urban history she researched and published mostly in English on problems of perception of space, urban innovations, collective identities, modernity and backwardness. 2005-2010 the leader for the Thematic Work Group 5 Frontiers and Identities consisting of about 30 researchers from 12 universities within CLIOHRES Network of 6th Framework Program of EC (project number 006164). She coordinated the research projects of the Seminar of General and Comparative History. 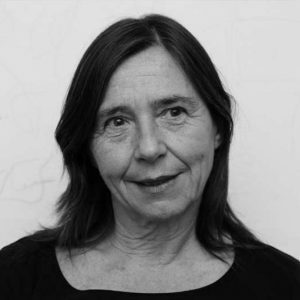 As a member of EAUH International Committee (2004-2014), she served as President of the European Association for Urban History (for the period 2010 – 2012), and is member of the scientific editorial board of Urbánní studie published by the Faculty of Humanities of CUNI and of Białostockie teki historyczne published by the Institute of Historical and Political Sciences of Białystok University. Awarded with Chevalier d´Ordre des Palmes académiques in 2005. Her current interest is in the role of cultural heritage in the creation of regional and urban identities. She will be the leader of the CUNI team in WP 5, particularly focus on T5.4, and contribute in WP3 - critical mapping and comparative interpretation of heritage presentation in small towns with particular focus on Podlachia (PL), Subcarpathia (PL and SK border region), Vysočina (CZ), and South-West France based on her previous research. 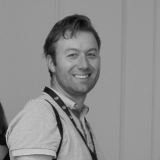 Zoltán Krasznai is policy officer at the European Commission's Directorate General for Research and Innovation (RTD), in unit B.6 'Open and Inclusive Societies'. 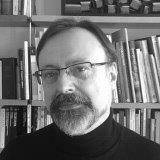 Zoltán is historian, holding his PhD from the Ecole des Hautes Etudes en Sciences Sociales (EHESS) of Paris. At the European Commission he coordinates the preparation of Horizon 2020 work programmes, essentially about culture and cultural heritage. Before joining the European Commission in 2013, Zoltán worked at the European Economic and Social Committee, a consultative body of the European Union. Arturo Rodriguez Morato - Full Professor of Sociology and Director of the Center for the Study of Culture, Politics and Society at the University of Barcelona. Former Vice President for Research of the International Sociological Association (2006-2010) and Former President of its Research Committee on Sociology of the Arts (1998-2002). He was Director of the First ISA Forum of Sociology in 2008. He has been Principal Investigator of several funded research projects within the Spanish National Plan of R+D+i. 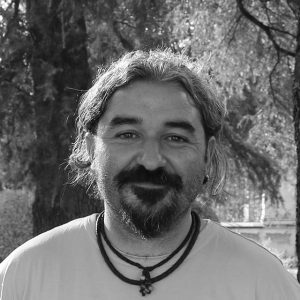 From 2015 to 2017 he has been Coordinator of the project CulturalBase: Social Platform on Cultural Heritage and European Identities funded by the EU H2020 Programme. He has published extensively on cultural policy, cultural occupations, urban culture and cultural sociology. Lately he has co-edit a book on La Nueva Sociología de las Artes (Gedisa, 2017) and a special issue of the International Journal of Cultural Policy (24, 5, 2018). 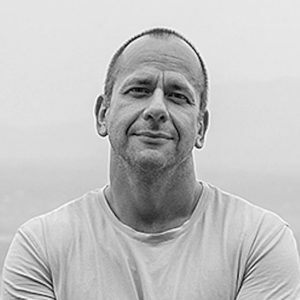 Gábor Sonkoly - Professor of History and Chair of Historiography and Social Sciences at Eötvös Loránd University of Budapest (CSc, Hungarian Academy of Sciences, 1998; Ph.D. EHESS, Paris, 2000; Dr. habil. ELTE, Budapest, 2008; DSc, Hungarian Academy of Sciences, 2017) . He is author of Les villes en Transylvanie moderne, 1715-1857 (2011), Historical Urban Landscape (2017) and published three monographs in Hungarian, edited four volumes and wrote some seventy articles and book chapters on urban history, urban heritage, critical history of cultural heritage. He presented at more than hundred international colloquia and was a guest professor in eleven countries. 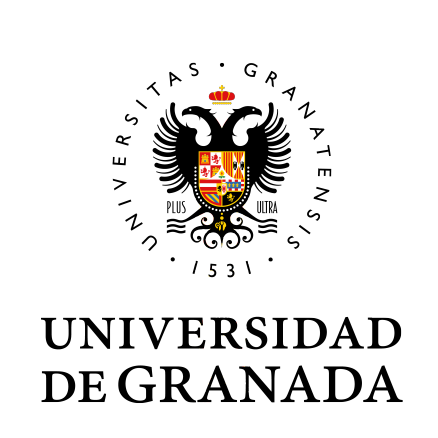 He is the Knight of the French Order of Academic Palms (2011).